This year, I've been extra lucky, because with the launch of CHS Bubbly Bar, I've got even more reasons to get creative! There's nothing better than a homemade touch on a holiday bubbly bar -- kitschy decorations & ornaments for Christmas parties, gold & glitter accents for New Year's Eve, & homemade chocolate-y goodness for hot cocoa bars. Plus, DIYing decorations is a really great way to get your friends together around the holidays to make memories! Today I'm kicking off our new DIY category with a really simple tissue paper drink stirrer craft -- & while this version is bright & festive in keeping with Kay & Co's colorful vibe, I also love this craft in darker gem tones for Friendsgiving, winter whites + reds for Christmas, & gold for New Year's Eve parties. It's super simple, inexpensive, & also perfect for those spring + summer bachelorettes that I know y'all are already thinking about! Without further ado: Kay & Co's first ever DIY post, tissue paper tassel drink stirrers! 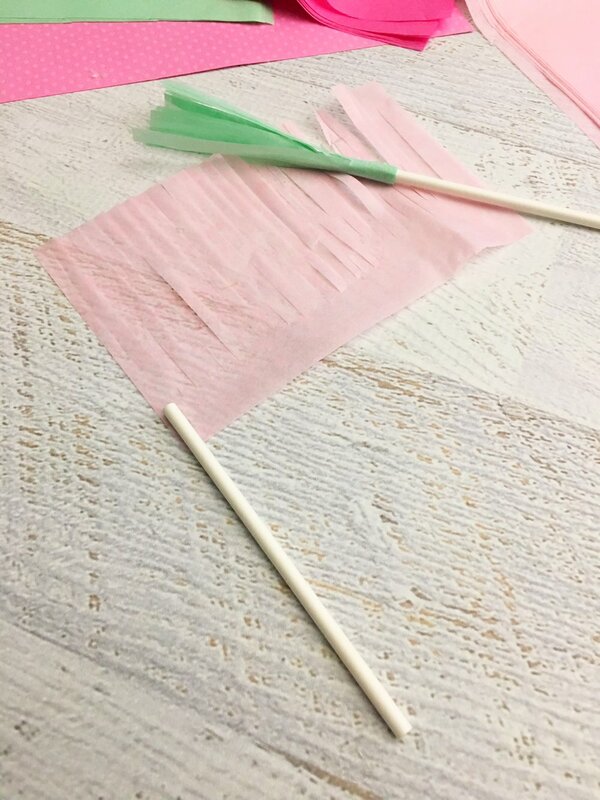 Tissue Paper Drink Stirrers: Bachelorette Party DIY! 1. 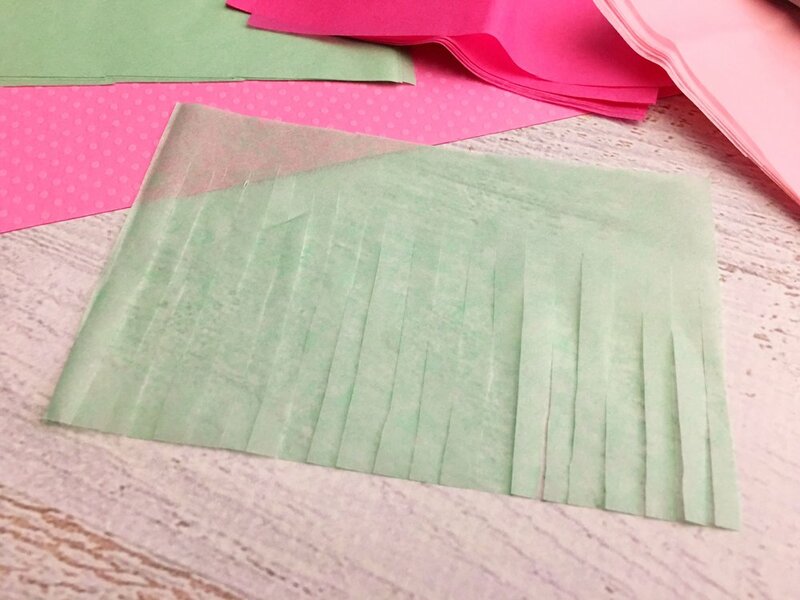 Cut your tissue paper into 3.5" x 5" pieces. 2. Cut the wide end of your tissue paper rectangles into fringe, leaving a 1" section at the bottom. 3. Place a small amount of hot glue onto the end of your lollipop stick and onto the 1" section of the fridges rectangles. 4. Begin to wrap the bottom of your fringed rectangle tightly around the end of the lollipop stick and secure the end with a little more glue.